Throughout America, one of the greatest struggles facing millions of immigrants is that of obtaining lawful permanent residence or – as it is commonly called – a “Green Card.” There are dozens of possible paths to obtaining a Green Card. Even many undocumented immigrants have a pathway to legal permanent residence available to them. Part 2 of this series focuses on family-based immigration and some of the ways immigrants can seek a Green Card through family relationships they have with relatives who are U.S. citizens or legal permanent residents. If you missed Part 1 of this series (an overview to obtaining a Green Card), you can find it here. Currently, family-based immigration results in greater numbers of admissions than the other categories of immigrants. As specified in the Immigration and Nationality Act, eligibility for family-sponsored immigration is determined by an immigrant’s familial relationships to U.S. citizens or legal permanent residents. See 8 U.S.C. §§ 1151, 1153. 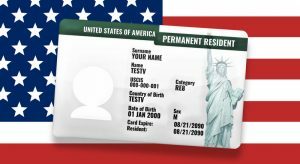 If an immigrant can be categorized as an “immediate relative” of a U.S. citizen, he or she may be exempt from the waiting times that apply to other categories in family-based immigration. However, immigrants seeking to obtain lawful permanent resident status through their marriage to a U.S. citizen may also be subject to heightened scrutiny and evidentiary requirements. Determining your eligibility for a family-based immigration category, as well as which category is best for you, is a complex process that should not be attempted without the assistance of an immigration attorney. Generally, the process of obtaining a Green Card in family-based immigration starts with the filing of a visa petition by the immigrant’s relative in the U.S. Visa petitions are generally filed with the United States Citizenship and Immigration Services (“USCIS”), an agency within the Department of Homeland Security. Generally, a USCIS Officer will be responsible for adjudicating the visa petition. Approving a family-based visa petition can be discretionary for a USCIS Officer. Therefore, it is crucial to complete the visa petition in the legally correct manner and with sufficient supporting evidence to prove the bona fide nature of the family relationship. To gather the necessary evidence and complete the visa petition properly, it is important to secure the legal counsel of an immigration lawyer before submitting a visa petition to USCIS or any other government agency. If USCIS approves the visa petition, the next step depends on the location of the immigrant. Those outside the U.S. generally must go through consular processing at a U.S. Consulate in their native country, while those inside the U.S. may be able to stay inside the U.S. and obtain their Green Card through a process known as adjustment of status. Some qualifying immigrants already inside the U.S. may have to leave the U.S., go to the U.S. Consulate in their native country, and return to the U.S. after consular processing. Under American Immigration Law, the primary family-based immigration categories are: (1) spouses, children, and parents of certain adult U.S. citizens; (2) unmarried children of certain U.S. citizens; (3) spouses and certain children of legal permanent residents; (4) certain children of legal permanent residents; (5) certain married children of U.S. citizens; and (6) siblings of U.S. citizens. See 8 U.S.C. § 1153(a). Adopted children of U.S. citizens and legal permanent residents may be eligible in some cases. All but one of the above categories are subject to statutory annual limits on the number of visas which may be issued. Depending on the applying immigrant’s category, he or she may have a waiting period before an immigrant visa number becomes available. Other factors, including prior criminal history or previous length of time in the U.S., can impact eligibility. Nevertheless, determining your categorical eligibility is an intricate and legally complex analysis. In some cases, the denial of a visa petition could result in the immigrant being placed in removal proceedings and facing the possibility of deportation. It is strongly recommended that you consult with an immigration attorney to determine your eligibility and file your visa petition properly. Call Cole Law Group’s Nashville immigration attorneys at 615-490-6020 to schedule a consultation and determine what type of visa petition is best for you to obtain a Green Card and obtain lawful permanent residence.